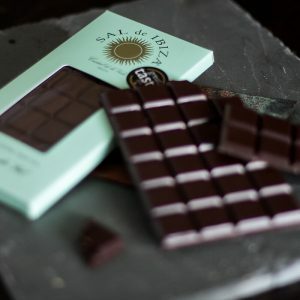 This sublime, dark chocolate bar contains Sal de Ibiza’s unique Fleur de Sel – Salt Blossom. 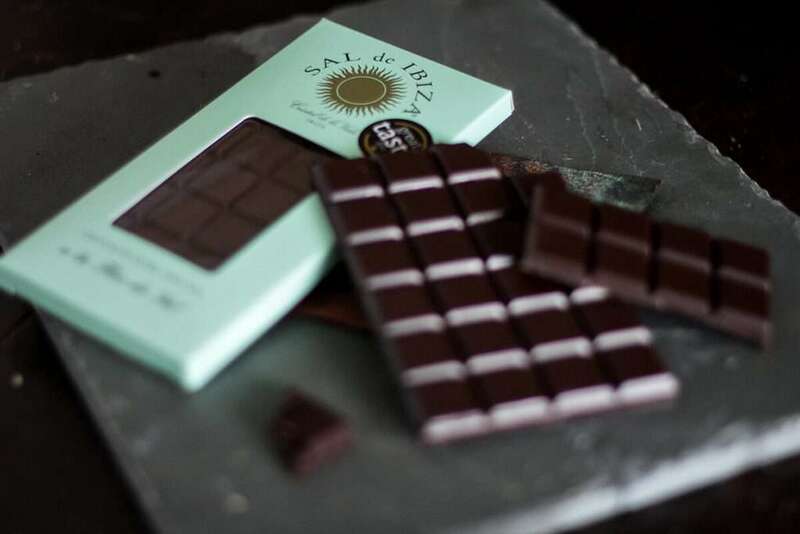 Hand-harvested at the island’s Salines d'Evissa nature reserve, these pure sea salt crystals form naturally in the Ibizan sun and are gently ground in ancient stone mills before being stirred into this already fine chocolate. Three types of South-American cocoa beans: Criollo, Trinitario and Forastero are carefully selected to achieve a complex balance of flavours. 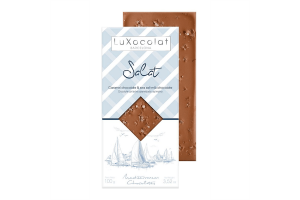 Coarser grain Fleur de Sel is sprinkled onto the 70% cocoa bar, giving it a crunchy texture with an explosive tanginess. 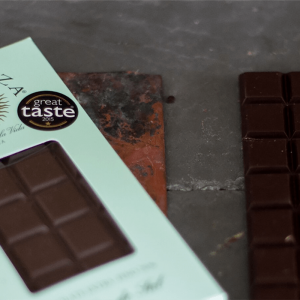 A truly gourmet taste of heaven, and winner of a Gold medal in the Great Taste Awards; the judges said: 'the salt brings out the fruitiness of the chocolate and sits in a lovely balance'. 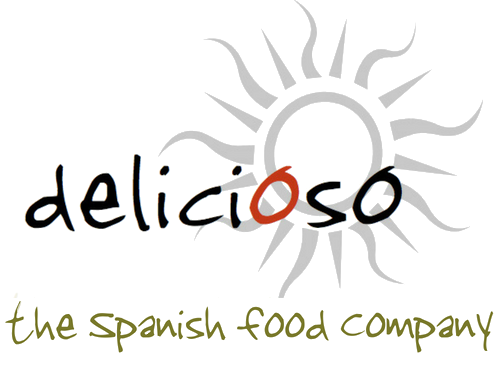 INGREDIENTS: Cocoa mass (70%), raw cane sugar, cocoa butter, sea-salt. STORAGE: Store in a cool dry place; if very warm refrigerate to prevent melting.